Even the word sounds whimsical and magical! Is there a favorite place you have actually seen Starfish? We have only seen them on Block Island when we where there a number of years ago! 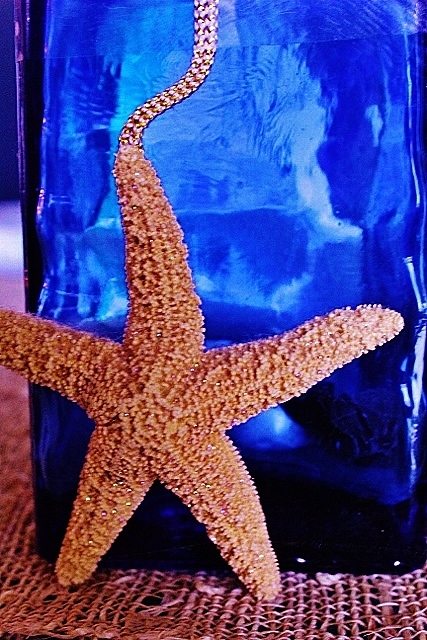 Starfish or SEA STARS are aechinoderms belonging to the class Asteroidea. The names “Starfish” and “Sea Star” essentially refer to members of the class Asteroidea. However, common usage frequently finds these names also applied to ophiuroids, which are correctly referred to as “brittle stars” or “basket stars”. About 1,800 living species of starfish occur in all the world’s oceans. The fossil record for starfish is rather poor; the ossicles and spines are the only parts of the animal likely to be preserved after death and the oldest known fossils are from the Ordovician. Starfish occur across a broad depth range from the inter-tidal to abyssal depths of greater than 6,000 m (20,000 ft). 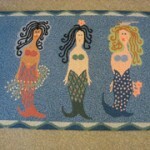 If you are a fan of Mermaids a shop that you will be interested in is Maiden Voyage in Mashpee Commons on Cape Cod. Is a genuine natural sea glass company in its eleventh year! This husband and wife company started their business 11 years ago when they found their first piece of sea glass lying in the sand of a nearby Maine Beach. 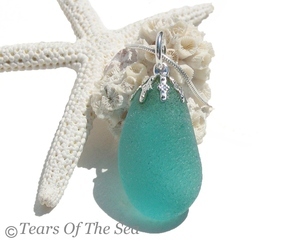 Sea Glass (beach glass) or also known as mermaid tears jewelry creations are made with authentic genuine sea glass that is tumbled by the ocean and delivered in its natural form. Each design is created as a one of a kind treasure from the sea for you to cherish! Click the link to see their online store! pendants, rings and more! These are unique almost one of a kind pieces. They also do custom work. Are you are a jewelry lover or just looking for something unique or special that represents that ocean New England feeling? We invite you to browse their online store! Testimonials are in from all over the country from Texas, Florida, California and beyond. Are you getting married? Why not have some custom pieces done for your bridal party! They offer Gold filled and Sterling Silver. Gift Certificates are also available! Complimentary gift wrapping with every purchase of sea glass jewelry designs is available. They take great pride in showing you thanks for purchasing their original creations and making your shopping experience memorable. Beautiful custom ocean theme gift packaging arrives perfect for all occasions including, birthdays, anniversaries and the holidays. Special gift cards are available per request, for that someone special. Tears of the Sea has been seen in Coastal Magazine and featured in Portland Magazine. Nesting Necessities for Inside & Outside Living! Some stores make you feel happy when you walk through them! This is one of them! You always know you will find something special and unique as the shop also works with a lot of New England crafts people! Deck Dock Home & Garden is located in Sunapee minutes away from Sunapee Harbor, The Anchorage and Sunapee Cruises to name a few. This store is known as a “GO-TO” for their outdoor furniture in the area! From tables and chairs and outdoor dining rooms to everything to complete an outdoor living space. But it’s roaming around the store which inventory is constantly changing is where you will find those unique special finds you’ll treasure forever! From signs to sculptures, lamps, glassware and other things for the table or things to make a cozy nook in our outside your home that you will love! There are gifts for the gardener from bird baths, bird houses, ornamental yard art and more. This store features some of the most unusual wall art in all styles – sure to please everyone! Make sure you also check out their online store for ideas to make every corner of your home and outdoor area and garden pop with interesting art, signs door knockers and so much more! Plus, what would entertaining be without a spcial gift while visiting Deck Dock for special gifts for a host or hostess or other special occasion. You can also visit Deck Dock online! If you’re a dog lover they even have special dog art you’ll love and their stock changes seasonally! They also have Adirondack chairs in all colors. Get ready for summer and take a drive to their store or check out the link above. You’ll be glad you did as you’ll find something unique and magical you’ll love for your home, garden or outdoor space. Happy Shopping! Perfect For Year Round Use + Holiday Decorations! FestiveTree a small innovative design company out of New Hampshire has launched its online store featuring unique, artisan built Holiday Trees. A hybrid of sustainability and nature, these trees offer something that has been seriously lacking when it comes to Christmas trees: choice. Crafted from genuine quality wood, these highly original, modern designs usher in a new age of celebratory symbols. Owner and designer Mike Sanok says that he was inspired to create the trees as a way to counter the commercialism and waste of Christmas with something simpler and more sustainable. “Some people just don’t want a live Christmas tree anymore. Either their kids are grown or they want something different and more personal.” Sanok believes that artificial trees, which are typically made in China from petroleum sub-products with lead based hazards, are even less of a desirable option for many. 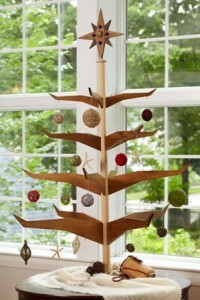 Festive Tree offers a true alternative with its unique designs rooted in artistic and environmental integrity. This is a whole a new kind of holiday tree – one that is environmentally friendly, reusable, and versatile. No messy needles, no driving around to find the right tree year after year. More importantly, says Sanok, each tree is truly a piece of art that can be a family heirloom which will embody the shared memories of families year after year. Festive Tree designs are ideal because they honor the holiday season in a way that accommodates a variety of religious and cultural traditions. Festive Trees are between three and four feet in height and can be completely dismantled and stored after the holidays. Made of quality fine woods, three unique tree designs are offered this year: The People’s Tree; The Norwegian; and the Puzzle Tree. Pictured here is the People’s Tree. This design stands about four feet in height and captures a sense of motion in nature. Indeed, the artful shape of the boughs resembles the wings of winter birds in flight. This stunning tree emanates a peaceful, meditative energy that will resonate throughout any home. Ideal for primary residences, city abodes, condos, lake and beach homes. Back then her studio was in an old mill! I still have those dishes and not only have they served many a meal; but they have served as an inspiration in creativity and dreaming about my own goals in life. There’s something in the design, colors and glazing in Mill Stone Pottery’s work that speaks to me more so than any other pottery out there! Sure there are many potters and we sometimes can find a piece we like here or there, but I find I consistently like the pieces colors and design from Mill Stone Pottery! There’s something serene and comforting and healing in them – kind of like taking a morning walk on the beach. Maybe, its Gail’s education in interior design and art history, or her talent for teaching. But I am sure if you visit her studio in Dennis or her website by clicking the above link we are sure you will find something you like as well! Keep up the good work Gail! There’s something about this shop that we love! We love the pallet of colors the shop’s owner has chosen as well as the way she stocks and styles the store! 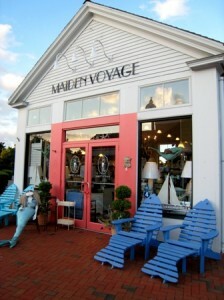 Whether you’re looking for beach or ocean style furnishings and home goods or a few mermaids, you’ll find it here! Maiden Voyage specializes in white washed and distressed antique and reproduction furniture and they also offer decorating services. But if the beach theme calls you then this is a destination feel-good store you will not want to miss! The store features items for your dining table and kitchen, the bedroom and bath and complete ocean luxury for every room in your home! Plus they also feature ocean themed jewelry and other gift items as well. 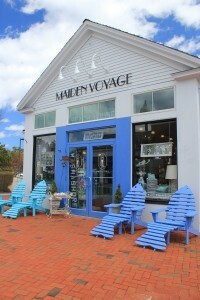 If decorating or collecting ocean themed items is for you then make sure to visit Maiden Voyage. It will become your favorite too! 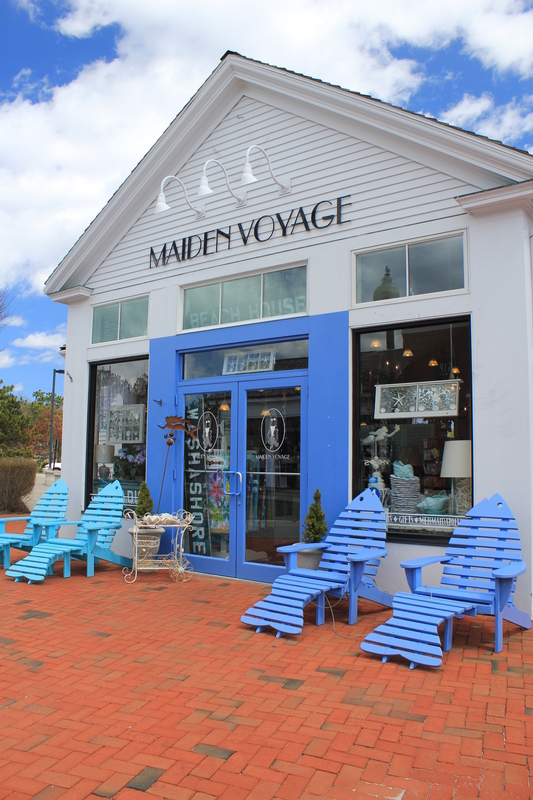 Maiden Voyage has been voted “Best Gift Shop” by the readers of Cape Cod Magazine in 2007, and “Best Gift Shop” and “Best Home Furnishings Store” in 2005, 2006 and 2007 by Readers Choice. Open since 1997 (formerly Watercolors) Sally Emmett Dwyer, interior designer has created Beach House Newport. A special place of memory and warmth. Whether creating a coastal corner, room or entire house…This is where you’ll find inspiration! From cottage furnishings, accent rugs, pillows, seaside kitchen, coastal decor, signs, jewelry and more! Beach House Design Services and Fine Furnishings for Coastal Living available. Voted “Best of” by Rhode Island and by Newport Life. Have you ever walked into a store that transforms your world? That’s what happens every time we visit Maiden Voyage at Mashpee Commons in Cape Cod. I often find myself thinking about this store! This shop specializes in white washed and distressed antique and reproduction furniture. If you’re looking for that “Cape Cod” look this is the place for unique finds! From shells to Memorabilia this shop has everything to make you and your home feel ocean cozy! There also have gifts, jewelry and bath products and nautical pieces and so much more! If you love all things ocean this store is worth the ride from anywhere! No wonder they were voted “Best Gift Shop” by the readers of CAPE COD LIFE MAGAZINE in 2007 and “Best Gift Shop” and “Best Home Furnishings” in 2005, 2006, and 2007 by Readers Choice. Since 2003 Maiden Voyage takes pride in customer service and an inviting atmosphere. Gift Certificates are also available. 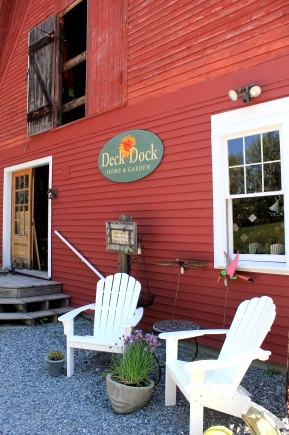 One of my favorite stores in New England is Deck Dock Home & Garden in Sunapee, New Hampshire. They specialize in high quality casual and classic outdoor seating and your source for outdoor furniture and home and garden accents. They provide creative and functional designs for your home and garden. Deck Dock is all about outdoor living! They feature patio, porch, sun-room and lakeside furniture for many of the homes in the Lake Sunapee area and beyond. From seaside casual furniture, outdoor dining sets, outdoor seating and side tables. They also carry some of the most unique interior and exterior home accents–many of the accessories are nature themed. You’ll find unique dining and entertainment accessories, copper fire pits and distinctive accents for your home including Basic Spirit serving ware, cutting boards and wine accents. 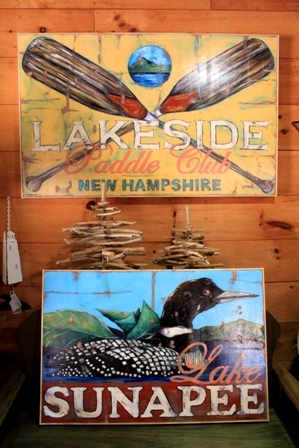 Including Sunapee themed books, prints, signs and NH and VT made items; as well as unique items from all over the country. Since the focus on outdoors they also have garden decor and birding items from feeders to birdbaths and birdhouses. Originally located on Sunapee Harbor since 2000. In 2002 they renovated a barn location near the harbor. Today everything is located at the barn location on route 103B. The store is open March – December.